As you probably know, the commercial real estate industry is going through a major transformation. The seismic shifts in CREtech, financing and the way we all communicate are happening so fast it can seem nearly impossible to keep up. 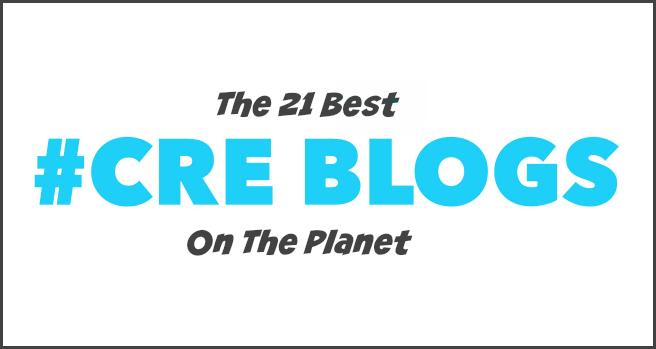 I’m confident this list of the best commercial real estate blogs on the planet will point you in the right direction. Please note, this is meant to give you a solid starting point, by no means are these the only CRE blogs you should follow. My goal was to find the ones that have their own unique voice, provide truly actionable content and have earned the respect of the greater commercial real estate community. As you will soon discover, the lines between traditional news sites and blogs have been greatly blurred. So don’t be confused to find a few of them on this list. 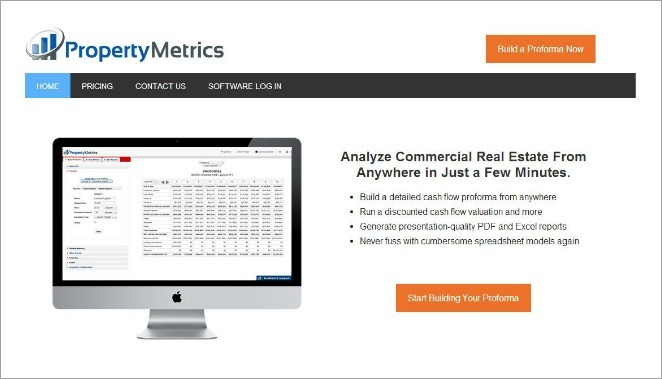 Whether you are a commercial real estate broker, investor, developer, CRE junkie or a self proclaimed guru, there is something here for everyone. 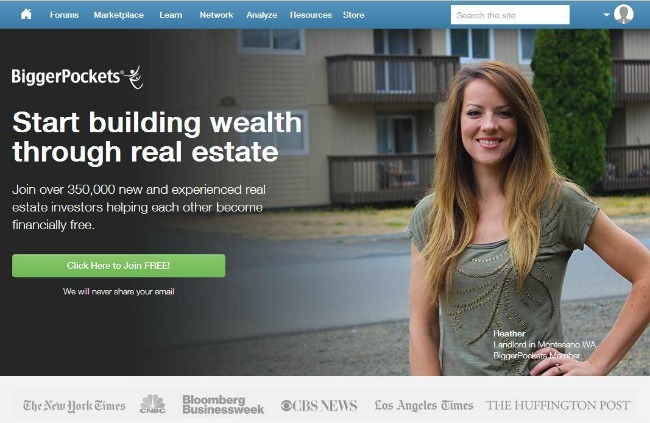 Joshua Dorkin and his team have created an amazing real estate social network where investors can get real world advice from experienced pros. From how to avoid the most common Multifamily investing pitfalls to how to get started buying office buildings, they have left no stone unturned. 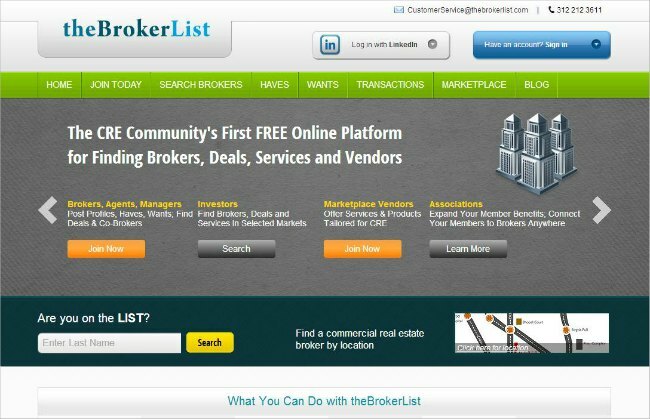 Be sure to visit their commercial real estate forums to keep up on the most recent trending CRE topics. 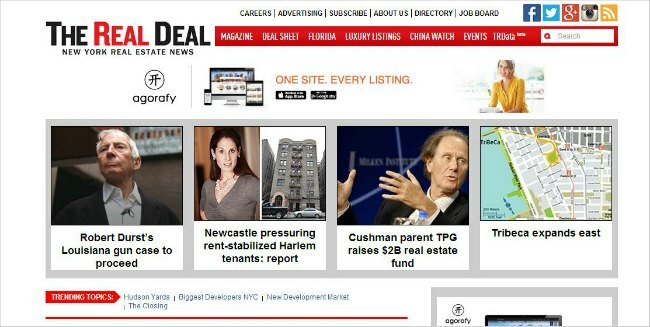 In the world of commercial real estate news, BISNOW is the total package. They have the magic touch when it comes to going beyond the numbers and getting to what really matters: the people behind the numbers. 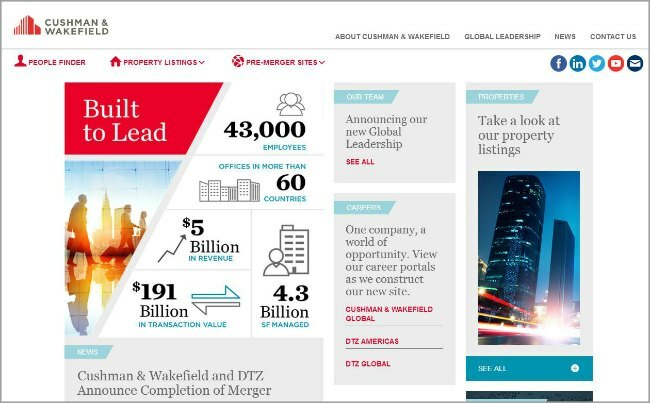 Breaking commercial real estate news, access to the industry’s biggest influencers and one of the best website designs out there. 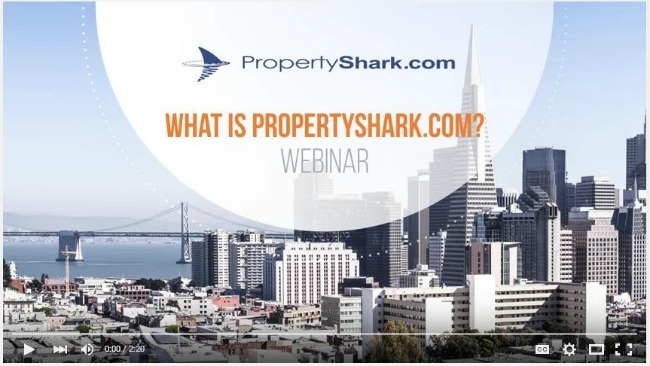 From New York to San Francisco, the Property Shark Blog delivers a well balanced mix of commercial & residential news for all types of real estate pros. Talented authors like Roxana Baiceanu (check out her articles page) make it a fun source to visit each week. 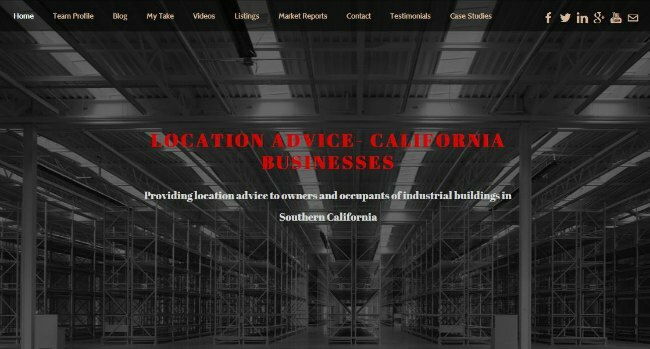 Looking for actionable advice on how to purchase, sell and value commercial real estate? From how to put together a Proforma, to how to calculate Net Operating Income, the amount of info provided here is simply astounding. Where else can you find advice from experts like Barbara Corcoran, inside tips for negotiating a land deal or the truth about CRE appraisals all in the same place? A must visit destination if you have any interest in commercial real estate or running your own business. And don’t miss the annual “World’s Coolest Offices” feature by the uber-talented and ever enchanting Mrs. Christine Lagorio-Chafkin. How can you cut through all the clutter out there and find the real diamonds of the CREtech world? Luckily, you don’t have to do the work, the brilliant team at cre.tech.com have done it for you. Find out which technologies to adopt, how to understand big data strategy and who will be next to disrupt CRE all before you’ve had your morning coffee. So wait, you mean Coy Davidson, Colliers mega CRE talent, gives away his advice for free? Popular posts like “Financial Analysis as a Lease Negotiation Tool” & “Understanding the Common Area Factor” have made Mr. Davidson’s blog an indispensable source for anyone involved with healthcare property or office space needs. When it comes to commercial real estate, Hughes Marino is the absolute top shelf of tenant representation. Based out of San Diego, CEO Jason Hughes and his team have put together one of the finest CRE sites out there. Along with the always helpful HM blog and resources page, be sure to check out Shay Hughes and her “Lead From Within” blog for even more great insights. 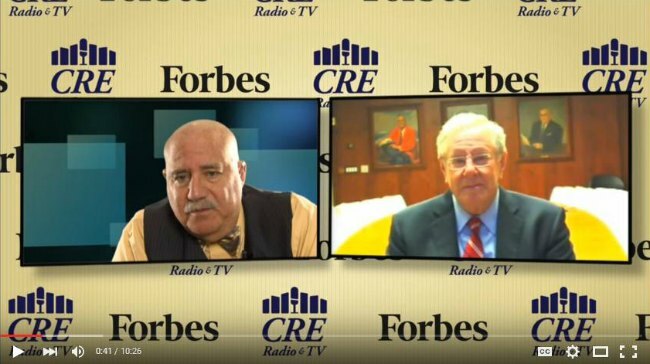 Look up “Gold Standard” in the commercial real estate dictionary and you will find Howard Kline’s CRE Radio. Far beyond a traditional blog (it’s really more like watching a top-rated, prime-time news channel! ), Mr. Kline grants you access to information that is simply not available anywhere else. 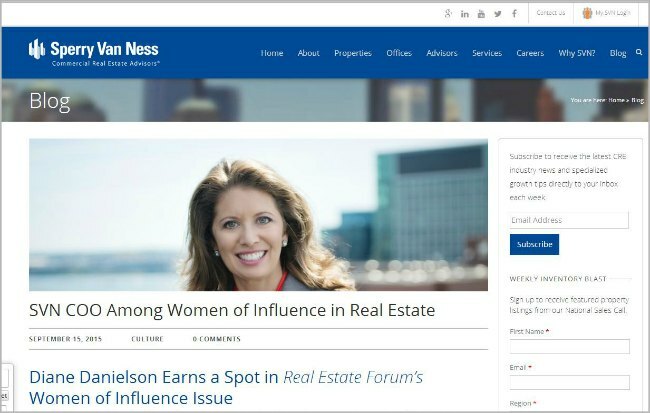 Visit now for exclusive interviews, amazing personalities, sage insights and a commercial real estate icon that is leading the industry to the next level. If you have anything to do with commercial real estate, The Real Deal should be mandatory reading each and every day. Editor-in-chief, Stuart Elliott, has an amazing knack for delivering the most relevant, timely and impactful CRE stories out there. Exclusive content like this informative Crowdfunding video make it all the more of a must visit destination. Michael Bull has done the seemingly impossible: made commercial real estate entertaining! 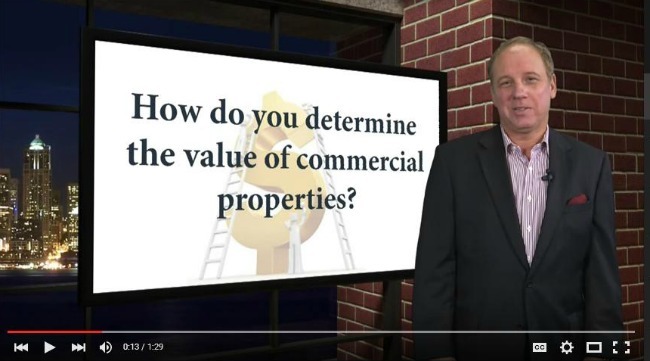 His industry wide connections and innate talent for delivering CRE content with real substance make the CRE Show a cut above the rest. Check out the “Answers” section for a treasure trove of CRE information. Raise your retail flags high and salute the International Council of Shopping Centers! With over 70,000 members strong, the ICSC has created an indispensable resource for education, community building and economic growth. Visit the Center of Shopping Blog to meet many of the top members and gain valuable tips. Imagine being able to sit down with one of the most successful CRE brokers in the world and being able to pick his brain. No problem. 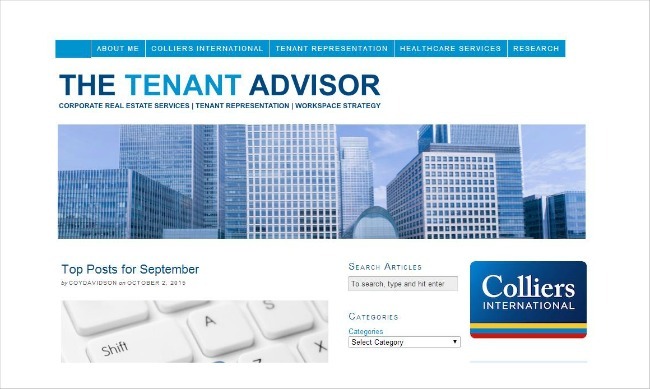 Mr. Buchanan, California’s tenant rep expert, imparts his sage advice and then some. The CREW Network is simply awesome. These brilliant women have transcended the world of commercial real estate and created something truly special. Visit their home page for the latest CREW developments as well as the individual chapter blogs for even more great content. 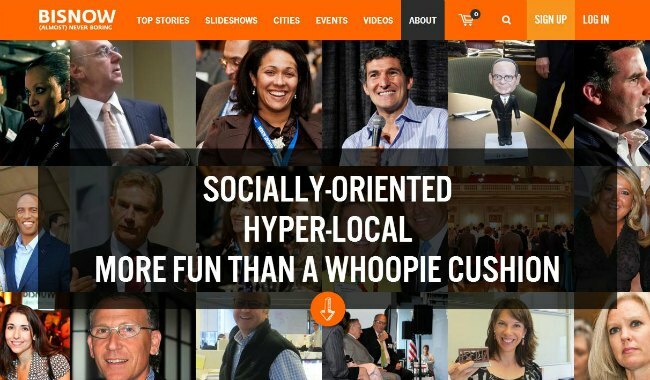 The CRE Outsider represents all the things that a top industry blog should be: unique, edifying and just plain fun to read. Chris Clark serves up her own satisfying blend of personal experience and thought provoking ideas. 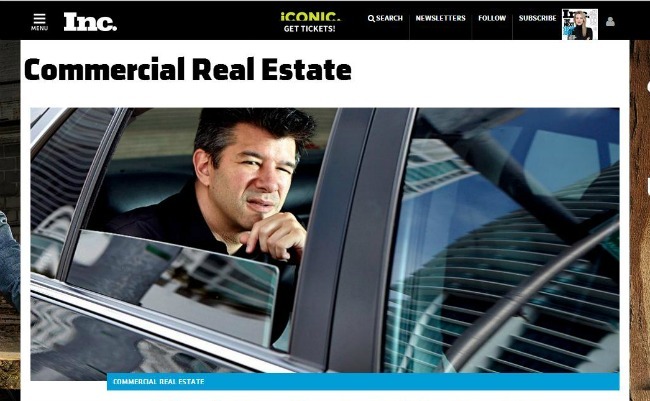 Check out “Disrupting CRE – It’s a Matter of Trust” to see just what I mean. Clearly established as a best of breed for the commercial real estate industry, CPE always delivers. You will find it to be a goldmine for discovering amazing executive profiles as well as timely CRE commentary. Along with the elegant new format, Editorial Director Suzann D. Silverman always keeps the content fresh and inviting. Inspirational, engaging and always authentic. One visit to Bo Barron’s blog and you will not only become a better CRE professional, but a better person all together. 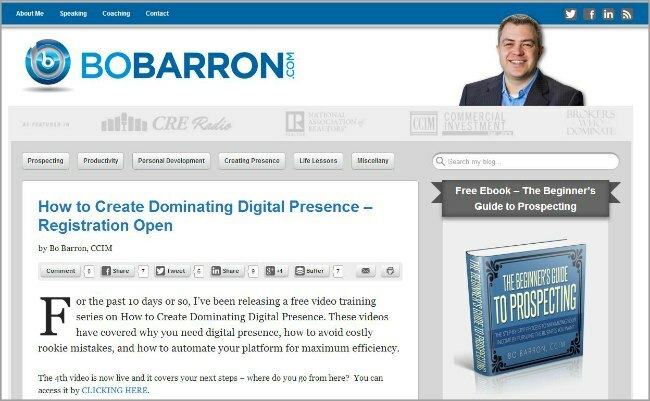 Taking his cue from the brilliant CRE pro, Rod Santomassimo, Mr. Barron has now become a vital source to turn to for maximizing your personal and professional development. 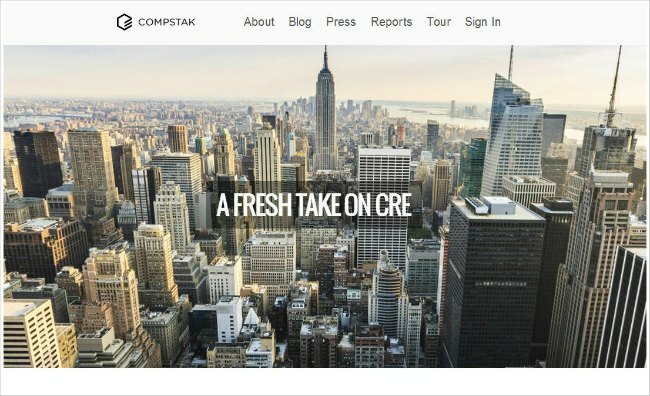 Along with providing the best deal-level data for property price comparisons, COMPSTAK has a blog that needs to be added to your CRE reading list. Ever wonder how many Footlongs that Subway has to sell to pay its rent? Or how many pounds of carrots Whole Foods would have to sell to pay theirs? Compstak has the answers and a whole lot more. Barbi Reuter is part of it? You probably already know about the tremendous community Linda Harrison has put together with tBL, but have you seen the blog? 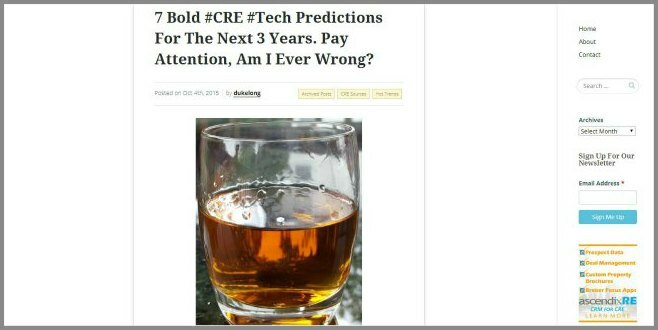 It features an all star lineup of CRE big hitters who provide the best expert guest posts you will find anywhere. With posts like “The anatomy of a lease deal” & “Hiring the right CRE team members”, how can you go wrong? From urban planning to the latest juice on the CMBS market, Commercial Observer has you covered. Award winning journalists like Lauren Elkies Schram and Damian Ghigliotty bring you the real scoop behind all the numbers. Unique content like “The Great Debate Between Designing Your Own Space Or Letting Your Landlord Worry About It” will keep you coming back. Listen, if Diane Danielson writes for a blog, than that is all you really need to know. Along with the newest happenings at one of the premiere commercial real estate firms in the country, the SVN blog has a ton of great industry insights. 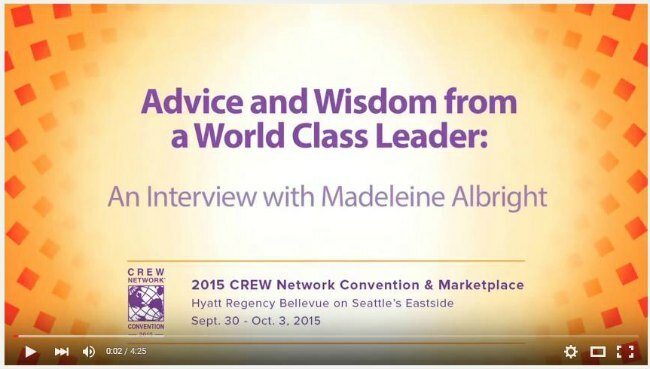 Think you have what it takes to be a “CRE Brokerage Superstar”? Visit SVN to find out. Duke Long provides you with a great mix of thought provoking content, experienced platform reviews and a heaping dose of unbridled charisma. No one is more plugged-in to what is happening with the future of CREtech. Sit back and enjoy, I know you’ll be hooked after your first taste. 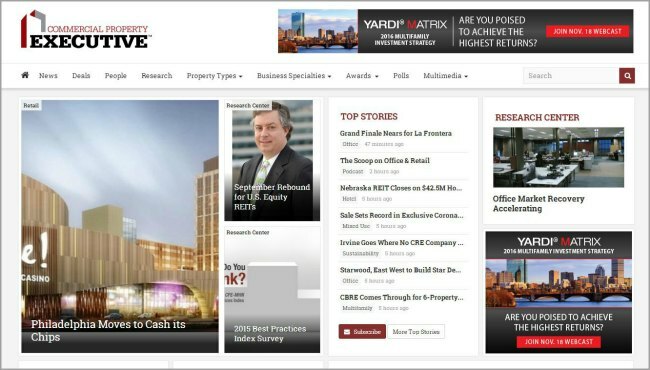 Have a favorite commercial real estate blog that didn’t make our list? Let us know about it in the comments section below. Thank you so much for noticing our all-star line up! We are so very proud of our bloggers and our community and we are thrilled to get this recognition! Thanks for the shout out! We take great care in crafting informative and interesting content for the Hughes Marino blog, and it’s an honor to be listed among so many other great bloggers.